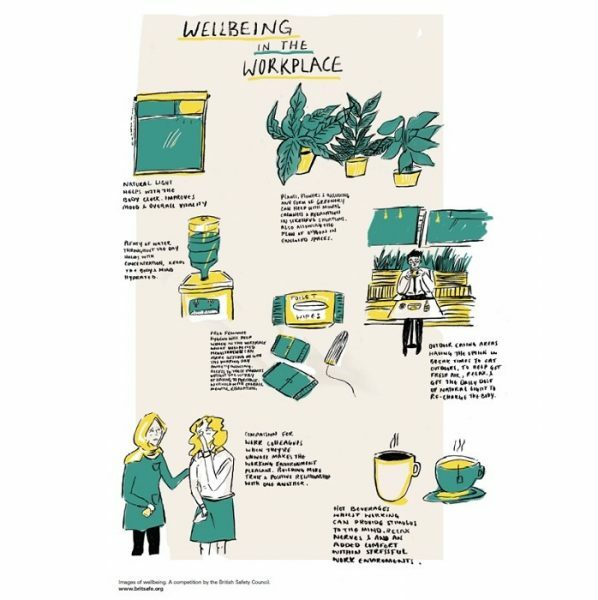 The British Safety Council has revealed the winners of its multimedia poster competition, ‘Images of wellbeing’, which showcases images of wellbeing at work and in an educational environment. The British Safety Council has a proud legacy of producing posters to inform, educate and campaign for safety, health and wellbeing in the workplace. For sixty years, its posters were a striking and often humorous reflection of the developments that transformed the workplace in Britain. Their subjects ranged from occupational health and safety matters to headline news. Today, employees face new risks to their health and wellbeing, as companies move away from traditional work practices. New technologies, long hours and remote working affect people’s wellbeing and can lead to mental health problems, which are particularly prevalent among men and young people. 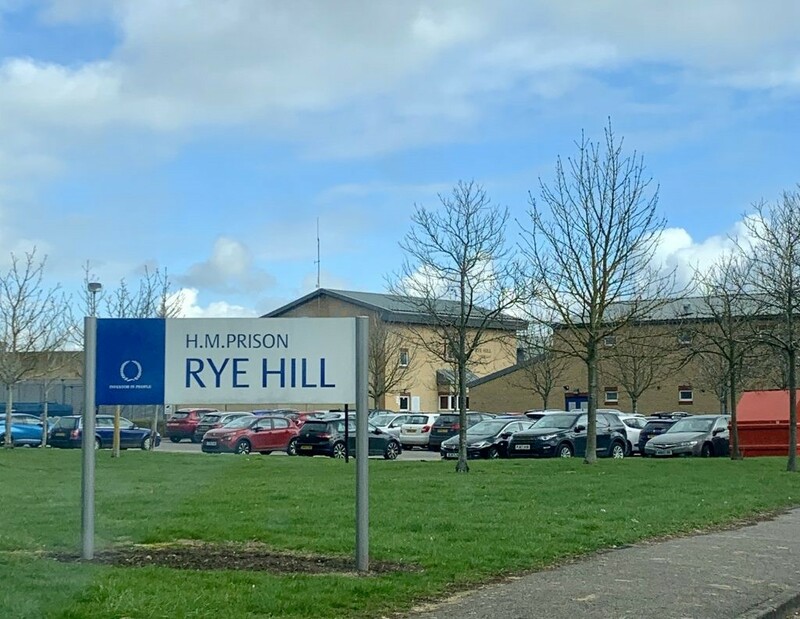 “The results of our competition have shown that wellbeing and mental health are at the forefront of young people’s minds,” said Matthew Holder, Head of Campaigns at the British Safety Council. 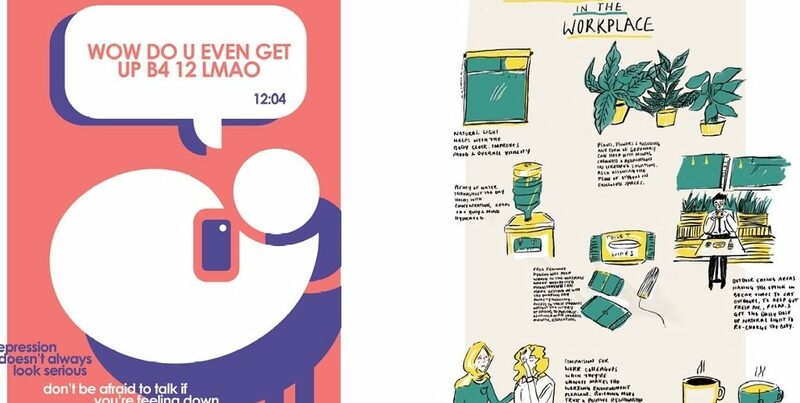 “The poster competition has proved to be a good barometer of their concerns about mental health, the workplace environment and the practices that adversely affect employee wellbeing. Colin Orr, a student of graphic design at Edinburgh College of Art, was the winner in the Under 21 category. “It’s estimated that one in five teenagers will experience depression prior to adulthood, with only three in every ten teens receiving the support they need,” he said. “The main causes of teen depression are academic pressures and cyber-bullying. 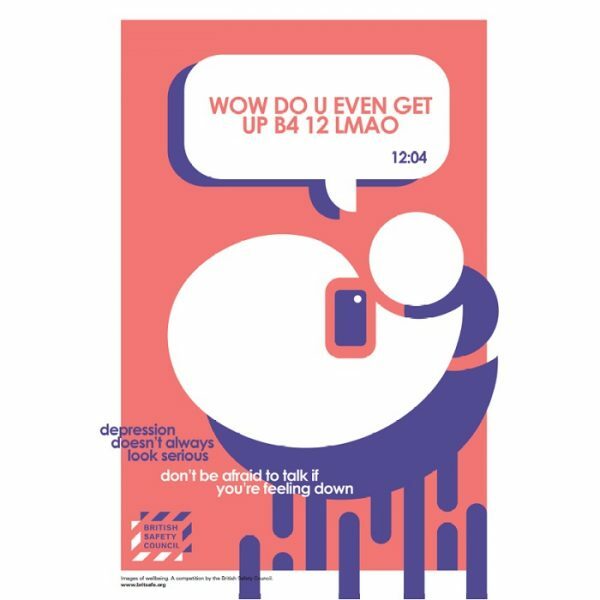 That’s why I intended the poster to be displayed in schools, where mental health awareness tends to be limited. The overall competition winner was Rimsha Ahmed, who works as a marketing assistant at LYRA. “Wellbeing is key to a successful and happy career,” Rimsha explained. 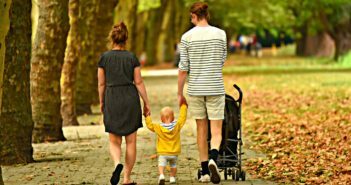 “It can be expressed in the simplest ways that make a working day more manageable and reduce an individual’s stress levels and anxiety. The British Safety Council believes that no-one should be injured or made ill through work. Since its foundation in 1957, the British Safety Council has campaigned tirelessly to protect workers from accidents, hazards and unsafe conditions, and played a decisive role in the political process that has led to the adoption of landmark safety legislation in the UK. Its members in more than 60 countries are committed to protecting and improving the wellbeing of workers, believing that a healthy and safe work environment is also good for business.